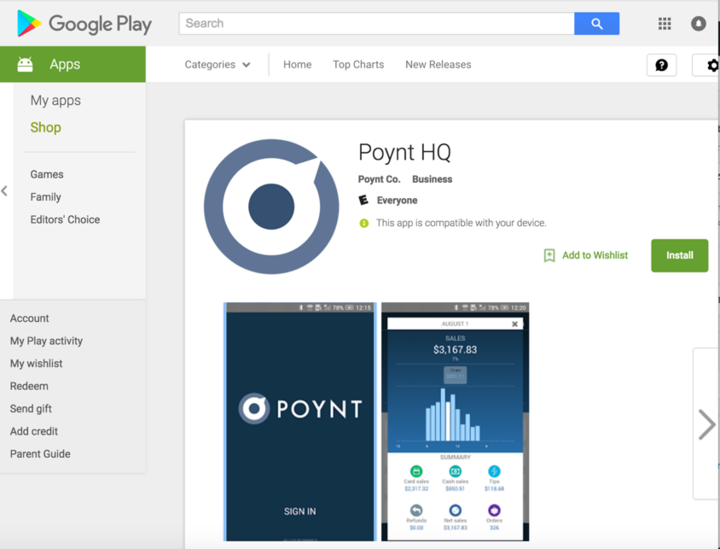 Merchants can now download the Android version of Poynt HQ app. Merchants can stay connected to their Poynt account and terminal(s) so they remote control their business. Download the Poynt HQ Android App at poynt.com/hq/android or simply search for Poynt HQ in Google Play. Learn more about the Poynt HQ App by reviewing the training document on the Help Center at: support.poynt.com > Merchants > Poynt HQ App. Go to the Terminal App and tap on Transaction List. 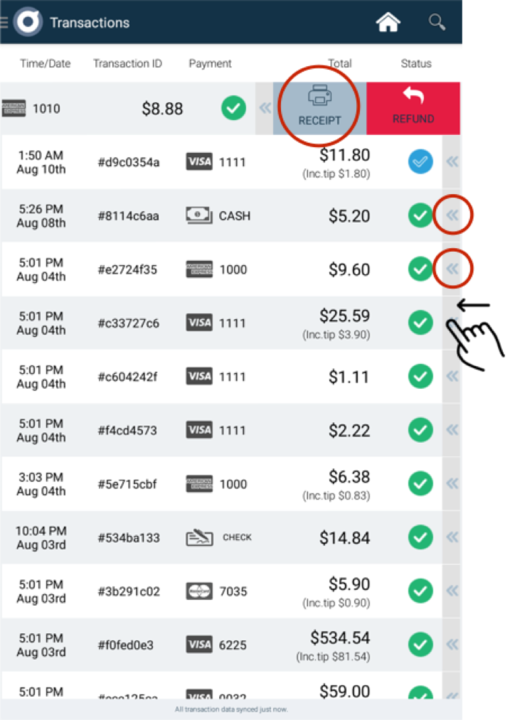 Swipe left on any of the transaction records where the << icon is shown (on the far right). Tap on the Receipt icon to quickly re-print a receipt. Tap on the Refund icon to jump directly to the Refund screen. 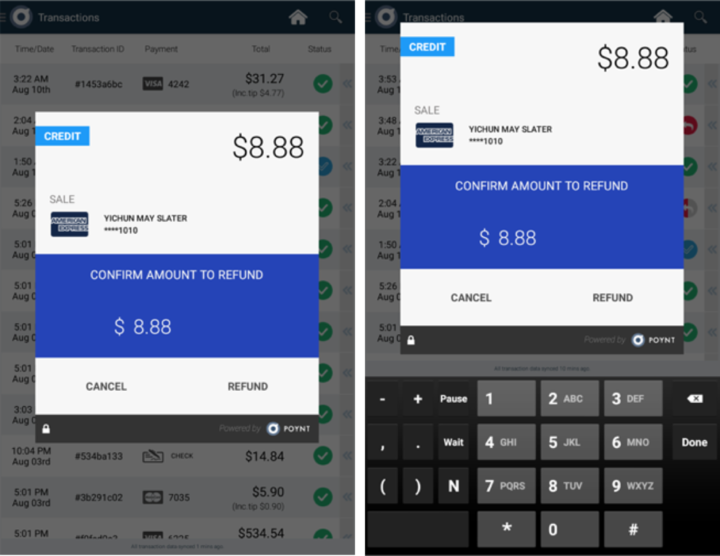 Tap on the Amount area to edit and enter the Partial Refund amount. Merchants can now opt to receive weekly Merchant Insights emails containing week at a glance summaries of sales, declines, week over week trends as well as interesting tidbits of information to help better manage their business. After running all diagnostics, a green checkmark will appear next to the areas that tested successfully and a red checkmark will appear next to areas that encountered issues. You can also run a Test Print from the upper right menu. Should you have any red statuses, contact support@poynt.com for additional assistance. Merchants now have the opportunity to discover and test some of the featured third-party developer apps. Tap on the Featured Apps icon. Tap on a specific app. Read information about the app. Tap on Add/Install to get started. A. Resetting the Order Number – for example if merchants start a lunch/dinner shift with order numbers at 1, then Reset Order Number will re-start. 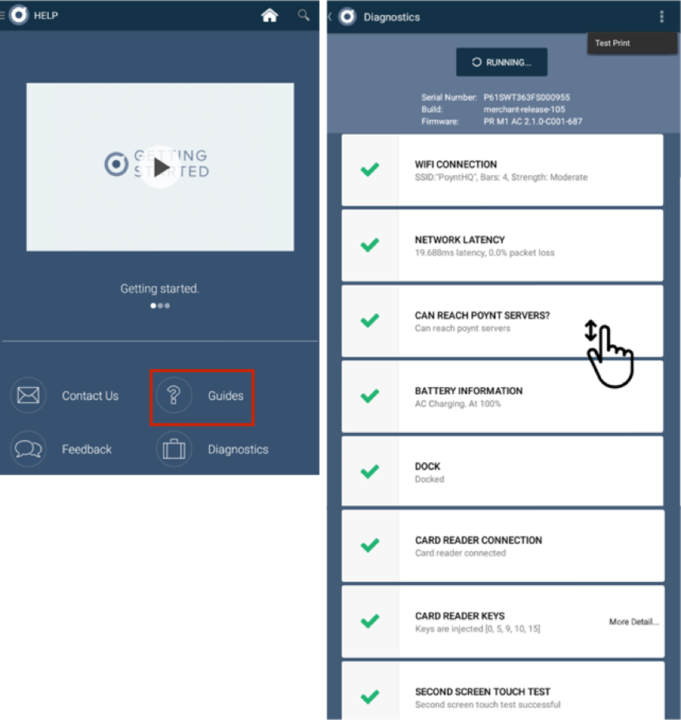 B. Refresh Register – if merchant updated products in Catalog App, tapping on Refresh Register will force a data sync to pull down the latest updates from the Catalog App. C. Printer Settings – allows merchants to assign specific receipt types to be sent to specific printers. For example, sending an Order receipt to an external printer for order fulfillment, or sending a Customer receipt to an external printer at a wait station, or sending item receipts to an external printer at a bar/drink station, etc. 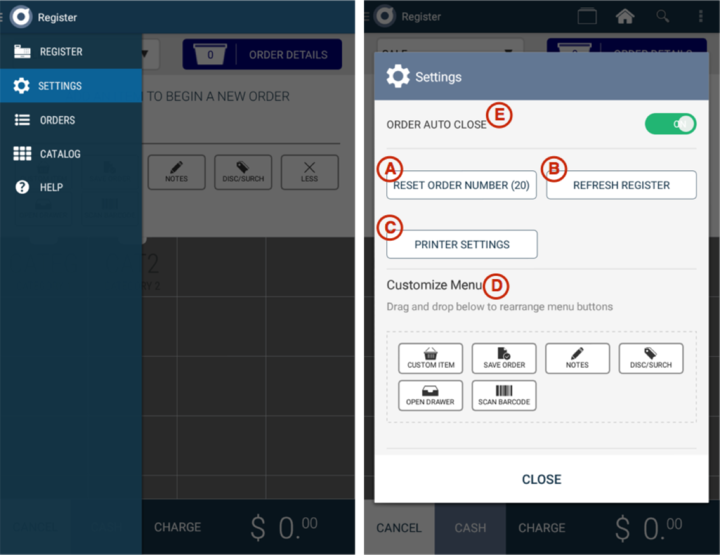 D. Customize Menu – allows merchants to tap, drag and drop most commonly used Register App buttons to be displayed in the button row. 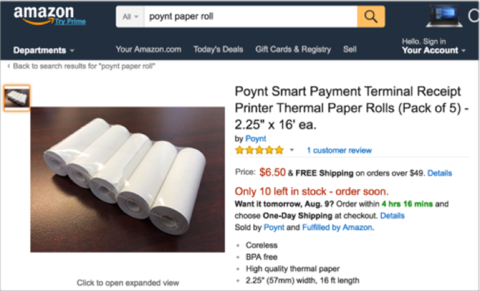 Merchants can now re-order paper rolls directly through Amazon. Search for 'Poynt Paper Roll'.